The fish seemed huge as the crowd gathered to admire the catch in the wind whipped grey light following the afternoon storm. He was so small that when his father told him to take the fish he’d caught he could hardly lift it’s snout out of the sand as he carried it proudly across the beach back to their house. The men from other houses jokingly yelled ‘Hey! That’s mine!!’. He just smiled and kept dragging the fish across the sand. In and around our palapa at 7 Mares. We slept upstairs in the middle hut! We found this wonderful little Mescalier just off the plaza de Santo Domingo. Called ‘Los Amantes’, the interior was designed by the local artist Guillermo Orgin. It’s like a little cabinet of curiosities. Los Amantes serves only locally produced artisinal Mescals – made in the traditional mode in small batches by individual mescaleros. You can taste a huge variety served from large glass jugs. And purchase whatever pleases you which is then decanted and sealed in beautiful locally produced bottles. They have a ‘branch’ in the east village in New York. Part of a growing movement to bring artisinal mescal to the US. The Botanical Gardens adjoining the Museo de las Culturas de Oaxaca. We looked down on it from the Museum yesterday but I wanted to get closer to all of the agaves, euphorbias, figs, frangipanis, palms and other succulents. Nobody can enter the garden unless you are a tour. So it feels like you have the place to yourself! 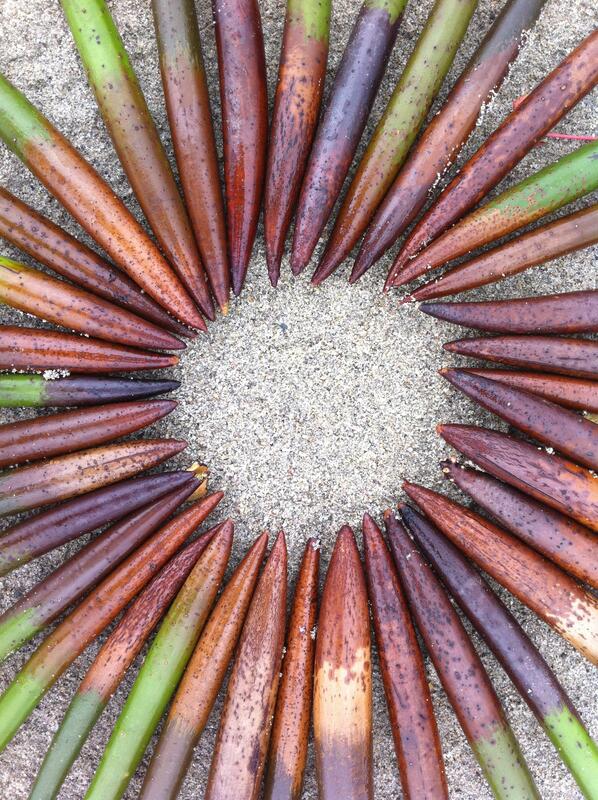 Sensitive plantings of hundreds of species of use to the indigenous peoples of Oaxaca. 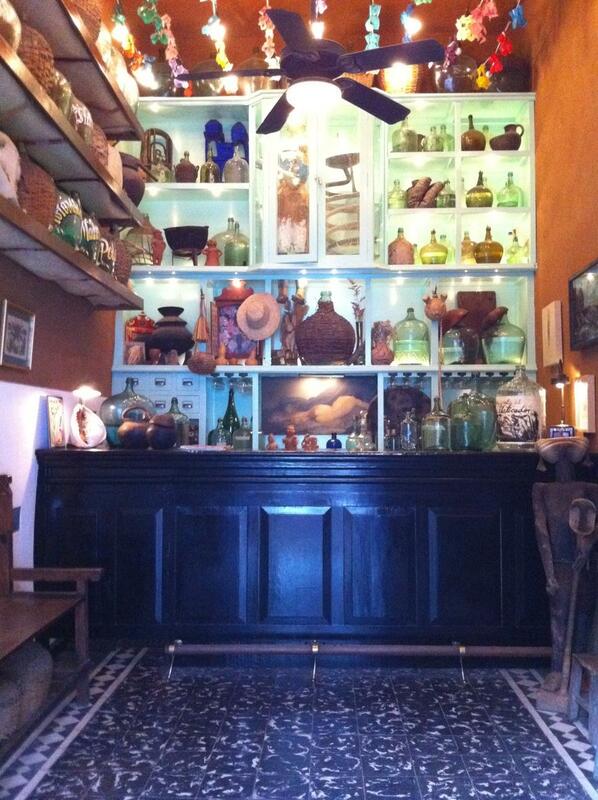 A wonderful tiny museum designed by and housing the personal collection of the artist Rufino Tamayo. Beautifully displayed sculptures from various pre-Columbian cultures display the humanity and daily lives of these extraordinarily gifted artists. Wandered Oaxaca city today savoring the contrasts between stone, clay, plaster and pigment. Waking up at Raul Cabra’s glorious Ex-Hacienda Guadalupe in Tiacochahuaya, outside Oaxaca. The beginning of 3 weeks in Mexico. My first trip ‘South of the Border’! !